A friend of mine recommended staying in Trinidad a number of years ago. I put it on the “list” but never got up to town. I figured this was the weekend to go see it. I stayed at a place that was a bit, ok a lot, nicer than the usual fare. 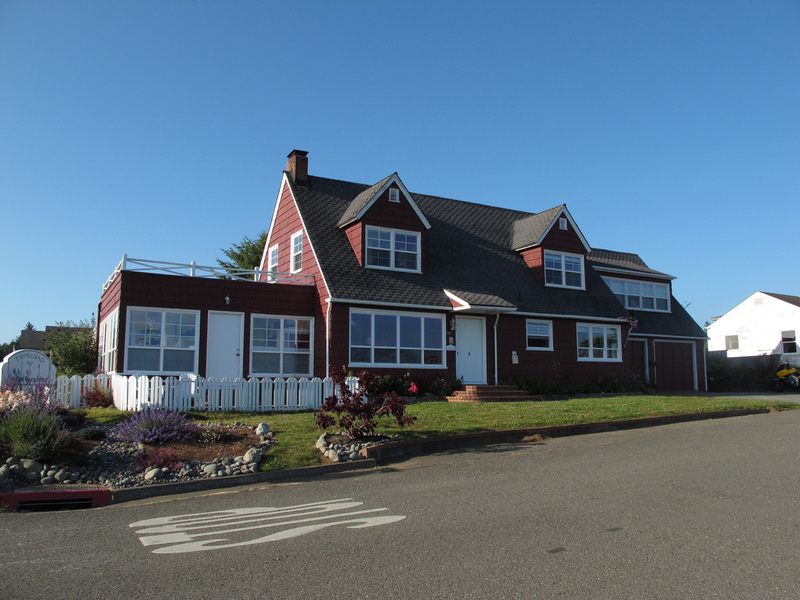 The inn sits right on Trinidad Bay and has a great view of the harbor. Looking towards the water from the front lawn you can see the full harbor. The inn is easy to find and right where the road dead ends into the view above. 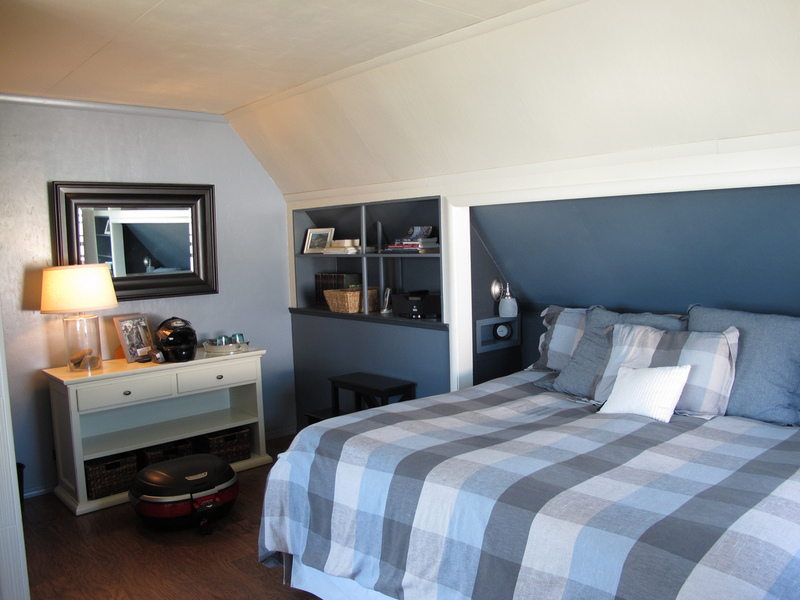 The inn has three rooms all with different themes but tied into the area. I stayed in the Trinity Alps room which is all the way to the right side of the building in the photo above. It’s got it’s own entrance and is very private. 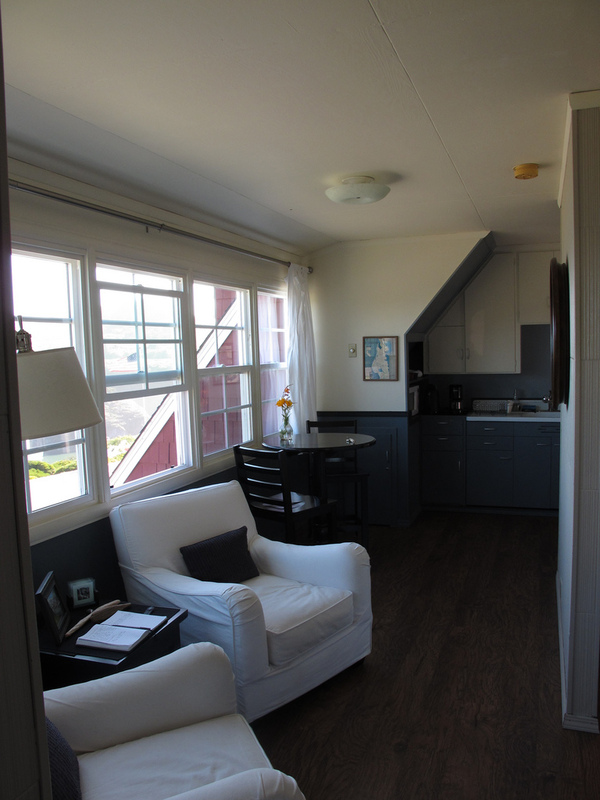 The room was tastefully done and super comfortable. And the view again, was well, awesome. One could see sunset after sunset from a full bay view. Room Comfort A Bed was awesome and super comfortable. The room had plenty of space to spread out and not feel the slightest bit cramped. Location A Loved the location. It was easy to find and the view was great. Breakfast A The innkeeper was more than happy to make some accommodations for my dietary preferences. Breakfast was good and not overfilling. Often times there is so much food that one overeats. This breakfast was right on when it came to portion sizes. Value B It’s a nice place, so its going to be more than your standard hotel. That being said, the rate was more than fair for what you got. Overall A Highly recommend the inn. Well worth the trip! Thank you for this wonderful write up. I’m just now getting around to looking at your blog. I’ve been very busy since you stayed here. Those are wonderful pictures you have taken of Trinidad. I hope that you are doing well.